I am not saying I dont like Dark Knight Trilogy. But I dont like this Dark theme. Getting always confused about who is Hero and who is villain is pathetic. And when I first hard about Christopher Nolan's involvement with Man of Steel, and his approach to the script, I started to have bad feeling. 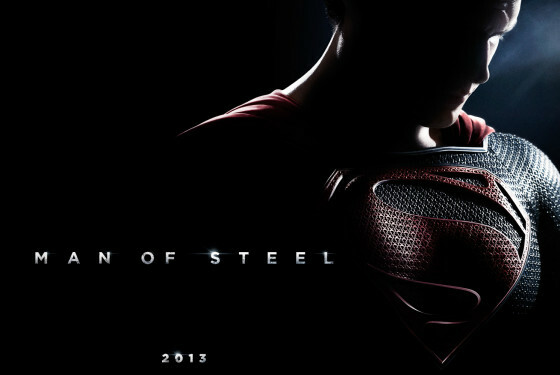 Christopher Nolan is not director of Man of Steel, “Zack Snyder” is the director. But Christopher Nolan is the producer here. And most interesting part Christopher Nolan is also writer of this movie. He is the main person behind this Superman's story. So, now you know why I was worried. Millions of Superman fan have a way of understanding how Superman grew up from a small village of Smallville as Clark Kent. And how Superman turn up as the savior of Human Being. We understand Superman's approach of being a good man, and struggle for humanity. I dont want to see the same Dark Knight type treatment in Superman story. We all know Christopher Nolan has a very unique way to telling story and present “Heroes” in a different approach. And he is really one of my favorite Writer – Director. But I hate his try to give same treatment to all movies, to all heroes. The first trailer also gave us a hint that whole world will go against Superman, and will take him as prisoner. Just like Dark Knight. But Hans Zimmer giving us hope. What Hans Zimmer Telling Us? Everything's tinged with irony and sarcasm and bitterness and darkness these days. But this Superman is something lighter. Hans Zimmer also explained how he got involved into this project. He never thought or interested in this project. It all started with a miss understanding. And he decided not to do this movie. Later Christopher Nolan convinced him, and it took him three months just procrastinating and still he could not start his work. But he found his way, his unique way. We could surely expect this movie will have an outstanding background score. And lets hope story and over all movie could live up to the Superman's fan base. Read the full story at CNN. It's really a nice a read.